For some, a garage and a carport are two interchangeable terms, but even though the two have notable similarities, they also have several distinct differences that are important to know when deciding which one is right for your house. Garages provide privacy for outside goods. Both a garage and a carport provide shelter for outdoor materials such as cars, construction tools and other items that aren't preferably stored inside the home. However, a garage is completely enclosed, therefore it can be locked. If privacy is an issue for your outdoor items, a garage would be a beneficial option. Also, garages can better be weather-regulated, allowing a comfortable year-round work space. A carport can be a portable freestanding structure, generally with a flat roof supported by four posts, or it can be an awning over any parking area. 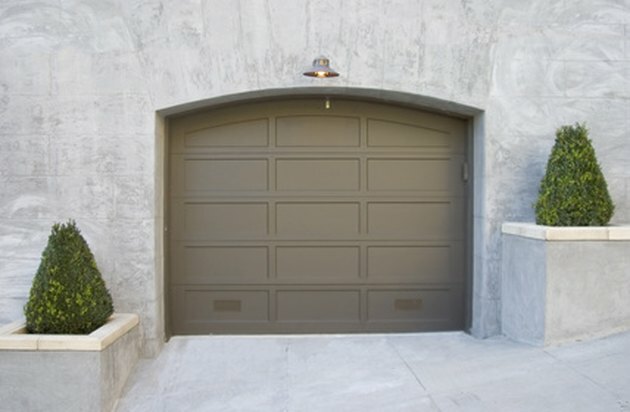 It doesn't offer the security that a garage does because of its open sides, but it still protects vehicles from weather damage and exposure to all of those elements. Garages generally require a larger budget to complete than a carport. One could expect to pay anywhere from $12,000 to $65,000 to finance a basic two-car garage. A carport provides some of the same conveniences a garage does, but at far less cost and less construction time, if a user-friendly carport kit is chosen.